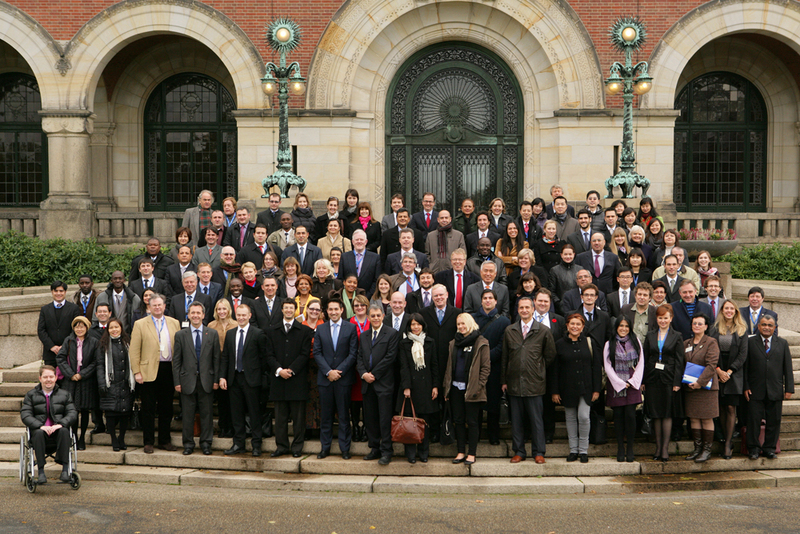 From 6 to 9 November 2012, over 160 experts from 75 States and international organisations all over the world participated in the third meeting of the Special Commission on the practical operation of the Hague Convention on Abolishing the Requirement of Legalisation for Foreign Public Documents (Apostille Convention). The Apostille Convention is the most widely ratified Hague Convention to date, with 104 Contracting States. Its popularity is due in large part to its relevance to the lives of citizens and cross-border business. The Convention is responsible for dramatically simplifying the process of producing public documents abroad, including civil status certificates and notarial acts. As a result, the Apostille Convention has proven to be extremely useful and is applied millions of times each year throughout the world. It greatly facilitates the circulation of public documents issued by one Contracting State for use in another. The Special Commission meeting provided a unique opportunity for Contracting States and interested international organisations to discuss the operation of the Convention. Experts considered questions regarding the applicability of the Convention and examined options for further simplifying the Apostille process. Experts also approved the final text of a Handbook on practical operation of the Apostille Convention to assist designated Competent Authorities in performing their functions under the Convention. They further considered options for the potential extension of the successful electronic Apostille Programme (e-APP) – an innovative technological solution for modernising existing Apostille procedures – to States throughout the world. More than 150 Competent Authorities in 15 Contracting States have already implemented at least one of the components and thousands of e-Apostilles have been issued. The Conclusions and Recommendations are available in English, French and Spanish.